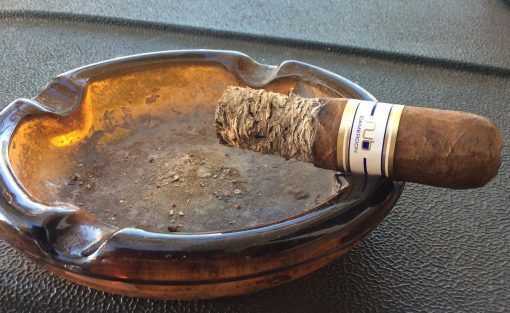 Back in 2008, I wrote less than favorably about the Nub Cameroon 358, calling it “an OK cigar, but one I’d rank far behind others …” In the intervening years, Nub has displayed staying power and maintained a strong fan base, so I thought I’d take another look. Two things I notice that haven’t changed: the low price (as little as $3.75 a stick by the box of 24 online) and the tight ash (I finally tapped mine off before it ignited the band). The smoke began a bit harsh, though it smoothed out some after a half-inch or so. I also got a little sweetness and spice along the way. Not a complex smoke, but I can’t help but think I was a little severe before. If you’re looking for a budget Cameroon, give Nub a try.